I'm a bit late getting my post up today...I've been so stinking busy lately that I can hardly see straight! I hope everyone had a fantastic week of reading and reviewing and enjoying every bookish little thing. Exciting news: You've probably noticed that I have a new blog design! It's pretty, no? I'm still getting used to it myself! Feel free to grab my lovely button on the sidebar. I didn't do any traditional reviews this week. 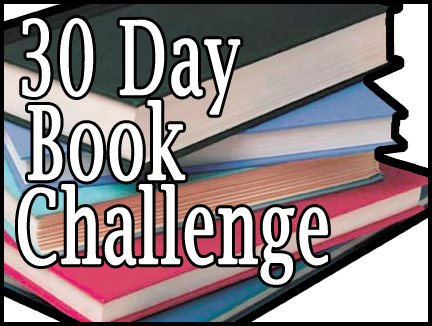 I have started the 30 Day Book Challenge. If you haven't seen this before you should check it out by clicking on that link. Some of the questions are difficult to answer...I suppose that's why it's called a challenge. 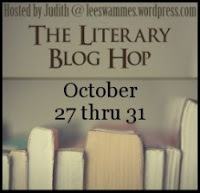 I've joined in the Literary Giveaway Blog Hop hosted by Judith at Leeswammes'. 50 bloggers giving away books with literary merit!? Fabulous! Please enter my giveaway here. 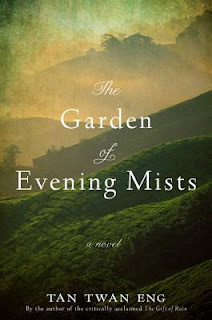 Don't forget to visit Judith's blog to enter the rest of the fab giveaways! 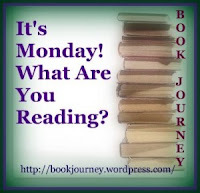 I'm currently reading the final pages of Charlotte and Emily by Jude Morgan. What a gorgeous book! After these three books I'm on a library ban! Well, a self-imposed ban on requesting more books that is. I've got to get to all of the lovely review books waiting for me. So, if you fellow bloggers could refrain from talking about awesome books for the next few weeks you'd be doing me a solid. Ha, as if! Once again, don't forget to enter my giveaway! I have enjoyed your 30 day challenge answers. I am reading Why have Kids now :-) will review next week I guess. Thanks Marce! They have been pretty fun to answer. I can't wait to hear what you think of Why Have Kids! 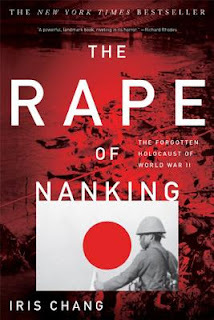 Such an interesting little read. Charlotte & Emily looks tempting! And it's not good for my stacks or my budget to keep finding delightful books, but I can't resist. Now I'm trying to write them down in a pretty journal I got....instead of immediately clicking over to Amazon. 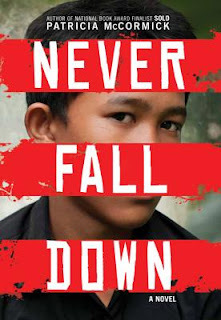 I finished it today..sigh, so good!! It made me want to read all of the Bronte sister books again :) Good luck on the giveaway! I got a lovely book in the mail today from a certain someone, lol, thanks again~! Nice big range there huh? ;) Thanks Dorothee, I appreciate it! Love your new blog design. Charlotte and Emily is on my stack, it has been there awhile, I am sad to say! Have a great week of reading. Thanks Nise :) I know how those towering stacks are..it's hard to get to everything you want! 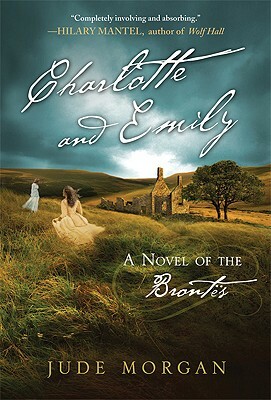 I am looking forward to your thoughts on Charlotte and Emily as I have that one on my shelf waiting to be read. Thanks!! :D It's fun having a new design! Your books have such great covers! I hope your self-imposed ban works. I struggle with it, but it's getting better. Never Fall Down sounds like a fascinating memoir. Lol - if only the bloggers would desist :-) Hope you enjoy your reading week. Jennifer thanks for coming by and leaving a message. I like what I see for your It's Monday feature! Quite the busy bee, i have to say. I also Im really glad I found out about the 30 Day challenge, I will be starting that on November 1st. Thanks! I love the new design- it's very cheerful! 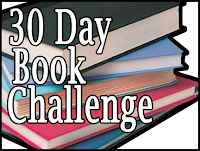 The 30 day challenege sounds like a lot of fun- I might have to try it out myself! Good Luck with it! Thanks Lettie! The 30 Day challenge has been fun, you should do it! I saw parts of your 30 day challenge. Looks like fun. Your new blog design is lovely. Nice clean look. Your titles here look thought provoking. Hope you have had a great week.